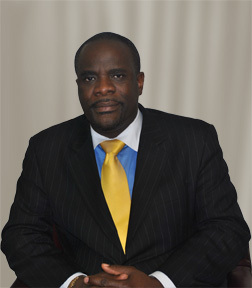 Bishop Devon Dixon is an ordained bishop of the Church of God. He has served the Church of God in various capacities in Jamaica and New York City. Bishop Dixon is an executive member on the New York State Executive Board of the Church of God and also serves as a District Overseer. Bishop Dixon's ministry includes preaching at the NY Church of God State Camp meeting and Prayer Conference. He has also traveled to, and preached in, South Africa and the British Virgin Islands. At present, Bishop Dixon is the pastor at the Eastchester Road Church of God, in the Bronx, New York. He has lovingly labored there as pastor for the past 25 years. God has given Bishop Dixon the gifts of direction and visionary leadership, which have allowed Eastchester church to experience tremendous growth and receive extensive blessings. The Bishop has worked comprehensively with young people. He has served as a youth leader of his local church and as a District Youth Director with oversight of five churches from 1981 to 1989. Bishop Dixon attended NYACK Christian College and graduated from the Church of God Ministerial Internship Program. He is a Graduate of the Pentecostal Theological Seminary, in Cleveland TN where he obtained his Master of Arts Degree in Church Ministries. For the past 30 years, he has been happily married to his beautiful wife, Heather Dixon. They have two wonderful sons, Devon Dixon Jr, and Andre Dixon. Bishop Dixon has a servant's heart, he loves people, he loves God, and he has a passion to see the Kingdom of God advance.